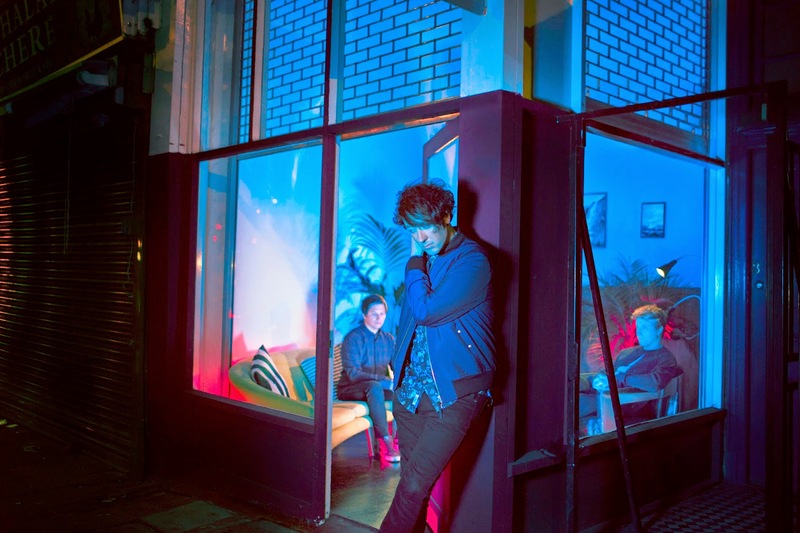 The Wombats: entrevista | Watch and Listen! 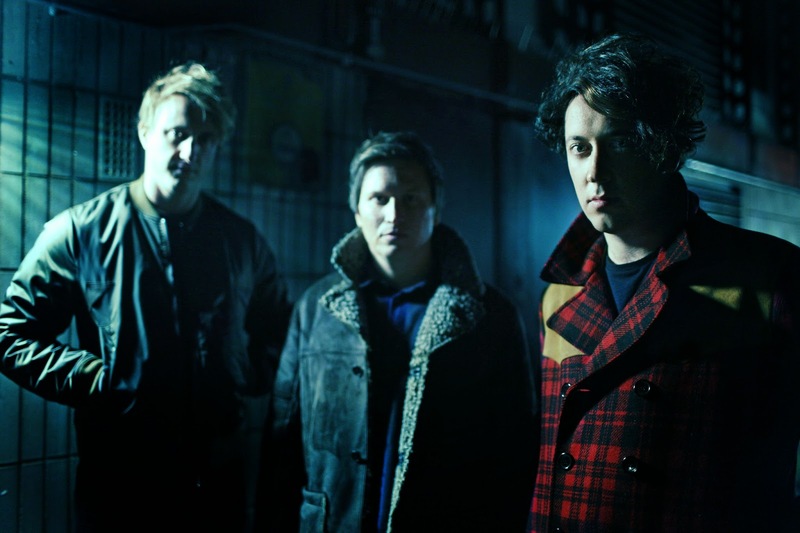 We interviewed Dan from The Wombats and we talked about going back on tour, their new album, "Greek Tragedy", stunts and about their show in Portugal at NOS Alive. Nós entrevistámos o Dan dos The Wombats e falámos sobre voltarem aos concertos, do novo álbum, "Greek Tragedy", duplos e ainda sobre o seu concerto em Portugal, no NOS Alive. First of all, how do you feel about going back on tour and perhaps playing some new songs? We're so excited. We've been couped up like chickens in the studio writing and recording for the past 2 years so we're ready to play all our new songs to people and get back in the touring bubble! Em primeiro lugar, como é que se sentem por voltarem a fazer uma tour e talvez tocarem algumas músicas novas? Estamos entusiasmados. Temos estado fechados como galinhas no estúdio a escrever e a gravar durante os últimos dois anos, por isso, estamos prontos para tocar todas as novas músicas para as pessoas e voltar à bolha de dar concertos! What’s the main difference between the first two albums and the third one? I guess with every album we make we try to push ourselves to write better songs and explore aspects of the band we haven't unearthed yet. It's so exciting making new music that doesn't sound like anything you've made before. After the 2nd album (where we worked with 4 different producers) we decided that for this new album we wanted to make sure we produced the album with one person so that it would sound like one cohesive body of work. This album is like nothing we've ever done and everything we've done all at once somehow. Does that make sense? Probably not, I like eating corn on the cob as a starter. Qual é a diferença principal entre os dois primeiros álbuns e o terceiro? Eu penso que com cada álbum que fazemos nós tentamos pressionar-nos a nós mesmos para escrevermos músicas melhores e explorar aspectos da banda que ainda não tínhamos descoberto. É muito excitante fazer música nova que não soa a nada do que fizeste antes. Depois do segundo álbum (onde trabalhámos com 4 produtores diferentes) nós decidimos que para este álbum queríamos ter a certeza que produzíamos o álbum com uma pessoa para que soasse como um corpo de trabalho coeso. Este álbum de uma forma é como nada do que fizemos antes e é tudo o que já fizemos de uma vez. Isso faz sentido? Provavelmente não, eu gosto de comer milho no sabugo para começar. Your first two records start with “The Wombats Proudly Present (...)”. However, Glitterbug doesn’t. How and why did you decide that? For the record, we 'Proudly Present' this album as much (if not more!) than the first 2 albums but we wanted this one to feel as fresh as possible in every aspect, right down to the logo and the type of writing so we changed things up a little. 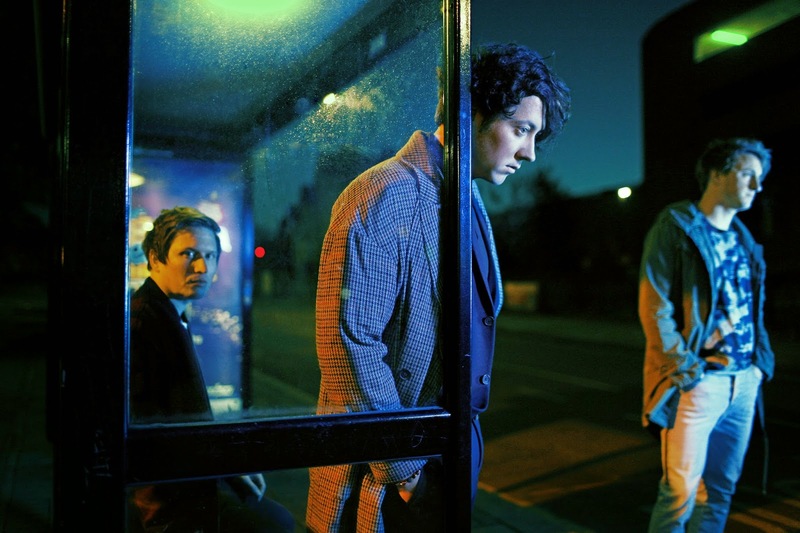 Os vossos dois primeiros álbuns começam com "The Wombats Proudly Present (...)". Contudo, "Glitterbug" não começa. Como e porque é que decidiram isso? Para que conste, nós 'Proudly Present' ('apresentamos orgulhosamente') este álbum tanto (senão mais!) do que os dois primeiros álbuns. mas queríamos que este sentisse fresco o mais possível em cada aspecto, desde o logo e até à maneira de escrever, por isso, mudámos as coisas um bocado. What is the meaning/story behind “Jump Into the Fog”? I guess it's a nihilistic anthem of not being sure of the outcome of certain events based on decisions you make in your life but realising that sometimes it's best to just close your eyes and go for it. What's the worst that can happen...?!! Qual é o significado/história por detrás de "Jump Into the Fog"? Eu penso que é uma hino nilista de não ter a certeza do resultado de certos eventos baseados em decisões que fazes na tua vida mas aperceberes-te que às vezes é melhor fechares apenas os olhos e fazê-lo. O que é o pior que pode acontecer...?!! Are you a techno fan? Yes. We're fans of all types of music. I like to listen to techno music whilst benching my own weight in the gym. Sim. Nós somos fãs de todos os géneros de música. Eu gosto de ouvir música techno enquanto exibo o meu peso no ginásio. Can you talk about your new song “Greek Tragedy”? Also, how did you come up with the idea for the music video? The song was written around the time Murph had broken up with a long term girlfriend and was starting to fall for a new girl and the 3 of us were in LA at the time and this song came together in Hollywood Hills. It was a pretty intense week. The music video has nothing to do with the lyrics but we really wanted a video with a storyline and when we read Finn (the director)'s idea we loved it! It was great fun to actually take part in a gory,blood filled video. We're thinking of new careers as stunt men so if anyone reading this needs any stunt doubles, get in touch! Podes falar-nos sobre a vossa música nova "Greek Tragedy"? E também, como é que tiveram a ideia para o videoclip? A música foi escrita na altura em que o Murph tinha acabado com uma namorada de longo prazo e estava a começar a apaixonar-se por uma rapariga nova e nós os três estávamos em LA na altura e esta música surgiu em Hollywood Hills. Foi uma semana bastante intensa. O videoclip não tem nada a ver com a letra, mas queríamos mesmo um videoclip com uma narrativa e quando lemos a ideia do Finn (o diretor) adorámos! Foi uma diversão fantástica fazer parte de um vídeo violento e cheio de sangue. Estamos a pensar em novas carreiras como duplos, por isso, se alguém a ler isto precisa de duplos, contactem-nos! Can you tell us about your side project called Sin? That is Tord's project with his childhood friend. Podes falar-nos do projeto à parte chamado Sin? Isso é o projeto do Tord com o seu amigo de infância. Have you ever had a funny experience with a fan? Could you tell us about it? Most of our fans are the nicest people you'll ever meet! We've met a few fans with tattoos of the band in fairly unusual parts of their bodies! Já tiveram alguma vez uma experiência engraçada com uma fã? Podes contar-nos sobre isso? A maior parte dos nossos fãs são as pessoas mais simpáticas que alguma vez irás conhecer! Conhecemos alguns fãs com tatuagens da banda em partes razoalvemente invulgares dos seus corpos! What are our expectations for your first concert in Portugal? I've been on holiday to Portugal a few times and I've always had an amazing time. I'm looking forward to playing to people who've never seen us before and hopefully having a big party! Quais são as vossas expectativas para o vosso primeiro concerto em Portugal? Eu estive de férias em Portugal algumas vezes e tive sempre momentos fantásticos. Estou muito ansioso por tocar para pessoas que nunca nos viram antes e espero ter uma festa grande! Do you want to say something to your Portuguese fans? Thank you for supporting us and asking us to come and play for you, we can't wait!!! Hopefully this will be the first of many concerts in Portugal! Queres dizer alguma coisa aos teus fãs portugueses? Obrigada por nos apoiarem e pedirem para virmos e tocar para vocês, mal podemos esperar!!! Com sorte este será o primeiro de muitos concertos em Portugal! Watch the music video of "Greek Tragedy" below. The Wombats third album, "Glitterbug", is out on April 6th. Vê o videoclip de "Greek Tragedy" em baixo. 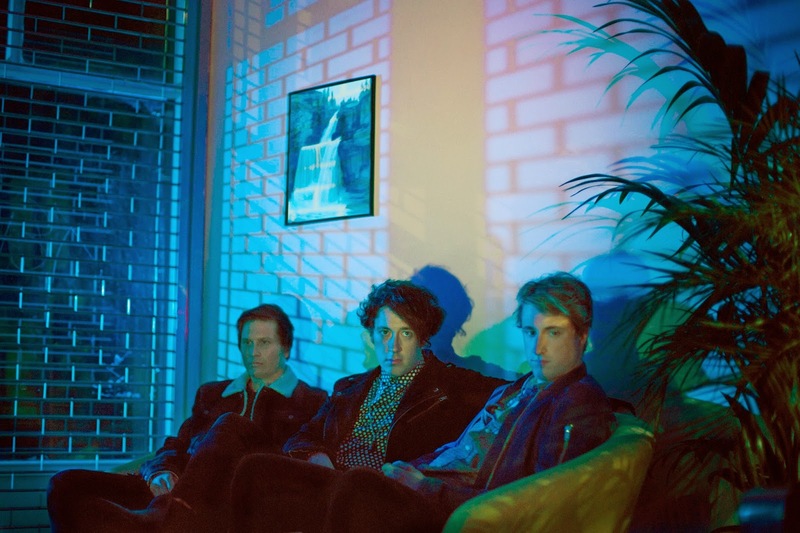 O terceiro álbum dos The Wombats, "Glitterbug", é lançado a 6 de abril.